John A. Coil, born and raised in Northern Indiana, is an Episcopal priest ordained deacon June 18, 1977 and priest January 8, 1978. He has served congregations very large and very small in Oklahoma and Missouri. 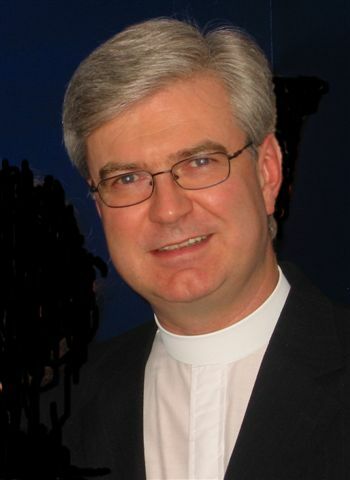 He is currently vicar of St. Luke’s Episcopal Church in Excelsior Springs, Missouri. He is the president and chairman of the board of John A. Coil &amp; Associates, Inc., a firm that consults with congregations of all religions in congregational transition, renewal and planning, policy governance, and conflict resolution. He has published several articles focusing on the support and development of clergy in Congregations, the Alban Institute’s magazine. Fr. Coil also owns Jacanda Hardscape Co., a high-end stone and paver landscaping company. He is the managing partner of Jacanda Holdings, LLC, which is involved in all facets of the housing industry from construction to property management and sales. He is a strategic business partner with Profiles International, a corporation which provides information to enhance productivity in the human side of commerce. Fr. Coil is a member Kansas City Rotary Club #13. He lives in the Kansas City Area with his wife Janette of 35 years and he has 3 grown children. He enjoys camping, computers, reading biographies and science fiction, and most of all spending time with his wife and family. He can be reached at 7917 Lamar Ave. Prairie Village, KS 66208, telephone 913-341-1277, or by e-mail at johnacoil@jacanda.com. Fr. Coil’s website can be found at www.jacanda.com.